Staying warm without overheating is critical. 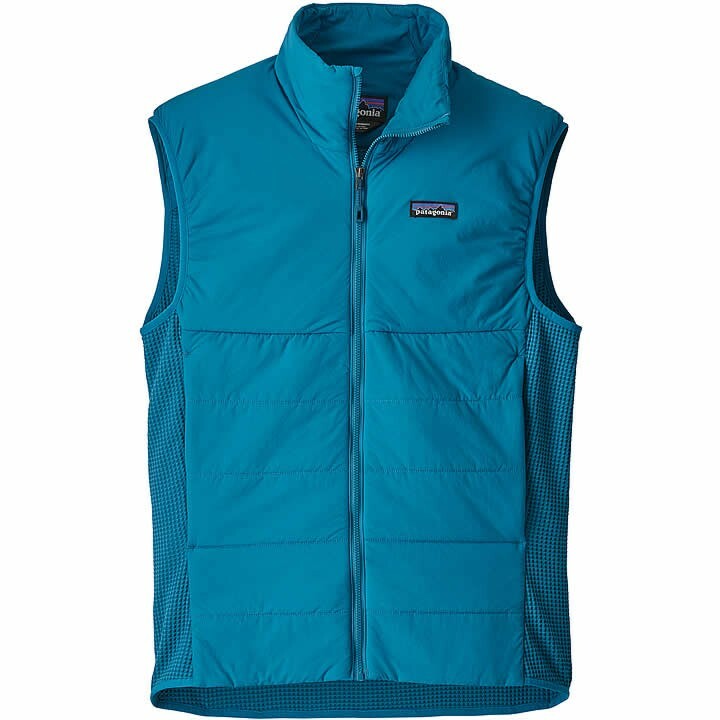 The Patagonia Nano-Air® Light Hybrid Vest traps heat at your core - where you need it most - but lets off steam to keep you dry and comfortable. The front of the vest warms and protects with warm-when-wet FullRange® insulation (40-g) sandwiched between a plain-weave liner and a lightweight yet durable, weather-shedding 100% nylon ripstop shell with a DWR (durable water repellent) finish. The back of the vest features a super stretchy, airy waffle knit that swiftly wicks moisture, controls odor and dissipates heat. The center-front zipper has a zipper garage for comfort on the chin, and zippered handwarmer pockets rest easily under a harness or pack. Stretch binding at the armholes and hem seal in warmth.